We always tell our customers how important maintenance is for all types of commercial flooring. But if there’s one type of flooring that it’s most important for, it’s carpeting. Carpeting is popular for commercial spaces. It’s comfortable to walk on, deadens noise, and makes any area feel warmer and more inviting. But for carpeting to stay looking great for a long time, it requires regular maintenance. Why? Stains are easier to remove if they’re new. You know how hard it is to get an old stain out of a tablecloth or shirt? It’s the same thing with carpeting. Carpeting should be vacuumed a lot—daily if it gets tons of traffic–spot cleaned as soon as possible after a new stain, but carpeting should also be deep-cleaned on a regular basis whether you think it needs it or not. It’s easier to remove stains, it’s faster for the maintenance person to clean it, and you’ll get a better overall result if you deep-clean your carpeting regularly. You’re also going to spend less on man-hours cleaning it if there are not months of caked-on dirt in your carpeting. The carpeting will last longer. Carpeting breaks down if it’s full of dirt and foreign matter for a long time. The carpeting looks bad, the pile gets flattened, and it’s not as comfortable for employees or customers to walk on. Think of sand, for a minute. If you have a bunch of sand in your carpet, and people keep walking on the carpet, that sand damages the fibers. The sand abrades the carpeting. That’s why you want to get the dirt out fast. Regular maintenance addresses this issue. Scheduled cleaning keeps the pile high, the color bright, the texture the way it should be, and keeps you and your business looking serious. Keeping your floors looking good is an easy form of marketing. Everyone looks at your floor when he or she walks in. So, make the flooring look as good as possible by performing regular maintenance on it. And make sure your maintenance people have good ventilation when cleaning carpeting. 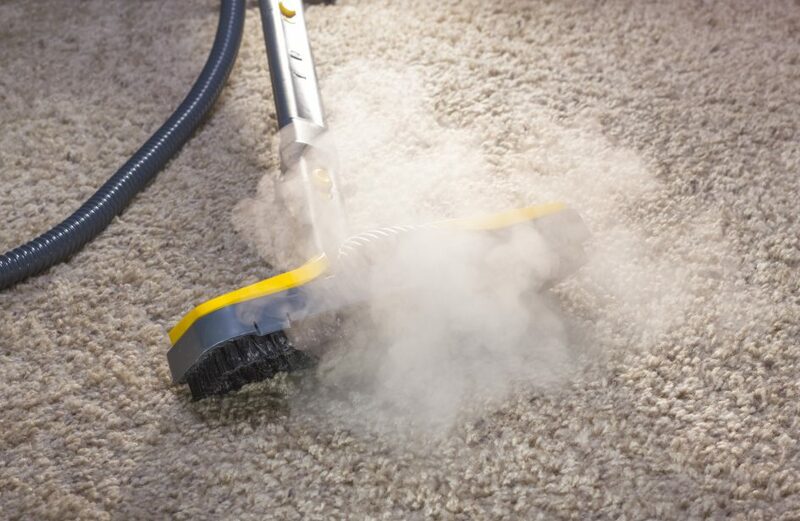 Ventilation is not only necessary for the safety of employees while using carpet cleaning chemicals, but ventilation also helps the carpeting to dry faster. By the way, we offer complete carpet cleaning and maintenance services throughout Washington DC, Maryland, and Virginia. We have been providing sales and installation of commercial flooring products to the following market segments for over 35 years: Corporate, Education, Hospitality, Government and the commercial real estate community. It’s easy to contact us, and we’re happy to help. You can always call us at (301) 762-2000 or email us at sales@eaglemat.net for more information.